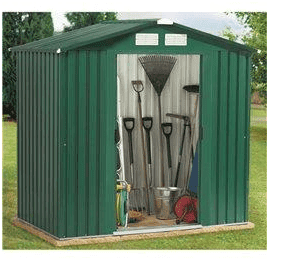 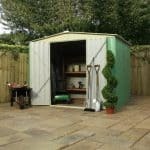 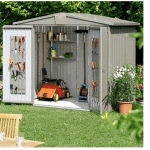 The BillyOh Beeston is a premium galvanised steel shed and ideal if you need something which is space saving but gives you enough room for light garden equipment this is great. 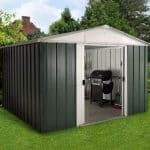 It is fire resistant, weatherproof and rustproof which means it is completely maintenance free and will look good for many years to come, It has deep roll formed walls and roof panels for extra strength and the wooden tongue & groove floor means that it is completely durable and hard wearing. 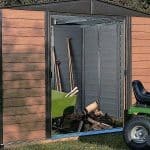 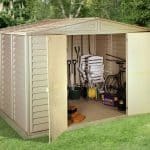 This shed has extra headroom to maximise space, or for the tallest of gardeners! 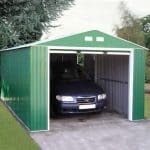 An ideal, solid storage solution which will look good and stay the distance.